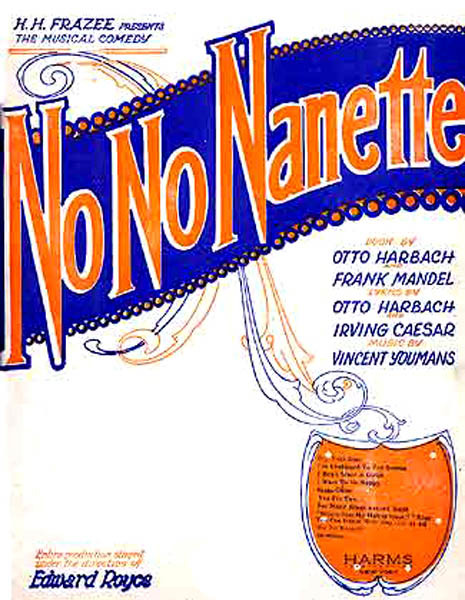 The Bad Boy of Musical Theatre: No, No, Nanette! 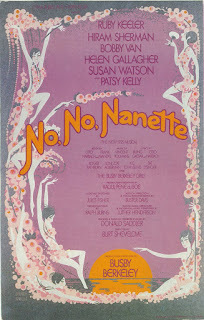 There's a lot more going on in No, No, Nanette! than most people realize. 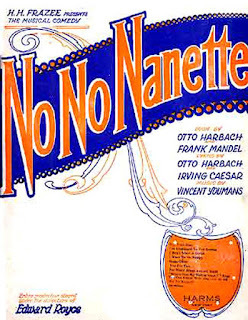 This first of the genuine classics of musical comedy appeared on Broadway in 1925, with a book by Otto Harbach and Frank Mandel (based on Mandel’s play His Lady Friends), music by Vincent Youmans (then only twenty-six), and lyrics by Irving Caesar (then only twenty-nine) and Harbach. Youmans was hired as the composer only because his mother made a sizeable investment in the show and demanded producer Harry Frazee hire her son, but he proved himself an outstanding composer. Youmans enjoyed the kind of harmonic sophistication and experimentation that only George Gershwin equaled at the time, along with a genuine gift for melody. 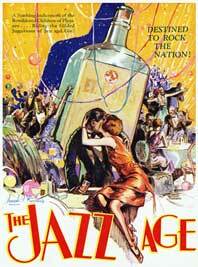 This was the music of the jazz age, not of Europe, not of ten years before, but of that very moment in America, music audiences could sing or dance to after the show. This story was about American now. The Act I finale was the kind of extended musical scene that would become commonplace later in the century in shows like Carousel, Into the Woods, and others, but here it was in 1925. Every moment and every song supported the plot and relationships and unlike many shows that had come before it, Nanette had something to say. The show was about money and American greed. Nearly every character in the show had some interesting and/or fucked-up relationship to money. Jimmy was a near-millionaire who loved giving people money just to make them happy, and the three gold-diggers girls were there just to con him into giving them generous handouts. Jimmy’s wife Sue was thrifty and hated the idea of spending money foolishly. Sue’s best friend Lucille was a compulsive shopper, buying things just for the sake of buying them, and to keep her husband on a leash by making him work like crazy to pay her bills. Nanette feels imprisoned because she has no money of her own and thus, no independence. The maid Pauline even had a song early in the show to set up this theme, “Pay Day Pauline” (cut from the revival). Money, Nanette was telling us, is a weapon, a source of power, a prison, and a sure road to victimization. Most interestingly, Jimmy has made his fortune as a Bible publisher, a subtle reminder of the Bible’s admonition that the love of money is the root of all evil. America in 1925 and its rampant consumerism was right there on stage to be laughed at, sure, but also to be slyly and accurately commented upon. But interestingly, this hit show didn’t start on Broadway. It first opened in Detroit in April 1924, then went on to Chicago in May 1924 for a six month run, where it underwent repeated emergency surgery. (Only after its run in Detroit did its songwriting team write the show’s two biggest hits, “Tea for Two” and “I Want to Be Happy.”) Each time the show was changed, the critics were invited back, and each time they liked it a bit more. Still, by the end of the Chicago run, producer H. H. Frazee had lost about $75,000. A second Nanette company was sent to Philadelphia and the eastern seaboard. Another company was sent west. The rights to a London production were sold while it toured and so it opened in London in March 1925, a full six months before its Broadway debut. 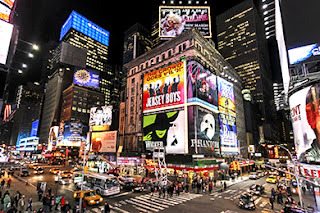 In fact, it ran longer in London than on Broadway – 665 performances in London, and only 321 performances on Broadway. In April 1926, the show opened in France, with much more spectacle and much more dance. Then the London production toured to Berlin (1926), Vienna (1927), and Budapest (1928). Also in 1927, a few of the same folks put together a completely unrelated sequel called Yes, Yes, Yvette, which ran forty performances (apparently forty more than it deserved). Obviously something in Nanette's subtle but scathing satire connected with audiences, not just in New York, but across the country and around the world. Nanette was assaulted... oops, I mean revived in 1971, the script ransacked, songs cut, the score fiddled with and clumsily over-orchestrated, the whole thing overproduced and gaudy, but it still ran 861 performances, eclipsing the original production. Sadly, the very funny opening number “Flappers Are We” was cut, along with both songs sung by the wise-cracking maid, Pauline, and much of the satire about Americans’ obsession with money. Nanette had been neutered and it became harmlessly cute nostalgia rather than hilariously sly social commentary. They took what had been an intelligent, well-crafted musical comedy and dumbed it down into what people in the 1970s only thought musicals of the 1920s were like, in the process losing all that was special about the original. The revival's producer Cyma Rubin (nicknamed "the Black Witch" by the Nanette company) had hired the retired Busby Berkeley to both direct and choreograph the show (figuring she could save a salary that way) but he just wasn’t up to it. So he became a "consultant" and Burt Shevelove took over as director. Before long, Shevelove was also writing an entirely new script. Everyone had agreed that the original script just would not do, but Charlie Gaynor, who had been first hired to write the new script, loved the original too much. He barely changed it, infuriating Rubin. So Shevelove now found himself writing a new script at night while he rehearsed the cast during the day, sometimes canceling rehearsals because there literally was no script to rehearse. He began by paring down the original script to its essentials – but that wasn’t as easy as it sounds. And there were more problems. Donald Saddler was called in to choreograph this tap dancing show, but he couldn’t tap dance. Raoul Pene du Bois was designing costumes but didn’t have a script yet. Buster Davis was creating new orchestrations but wasn’t sure which songs would be in the new script. But he didn't understand the show he was rewriting. The original Nanette had dealt with more; Nanette and Tom had only been a frame upon which to hang some very insightful satire and social commentary. And Shevelove had also bought into the terrible myth that audiences want escape. They don't. 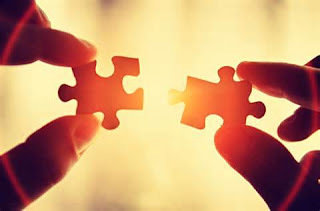 They want connection. That's very different. Also, Nanette was not "this innocent little child," but a young woman who wanted some independence for herself, at a time when many women were craving that -- both in 1925 and in 1971! It's the same problem we have in the New York commercial theatre today, producers and directors who don't understand the material they're working on, especially when that material is something genuinely fresh and unique. Just look at the terribly misguided original Broadway productions of High Fidelity, Cry-Baby, and Heathers, just to name a few recent examples. Most directors of plays try to make sure they understand the play before they start directing it. Directors of musicals, especially many working in New York, don't always do that. They try to make it what they want it to be, instead of discovering what it is. And now in this new Golden Age for our art form, so many new shows are unlike any others, with their own very unique set of rules. If a director doesn't bother to figure out what those rules are, they'll do damage to the show. Just as Shevelove and friends did to No, No, Nanette. Not all comedy works the same, and not all musicals work the same. And sometimes, the shows that seem lightweight on the surface have a great deal going on underneath. Just look at Hair, Grease, and Rocky Horror, all three shows usually dismissed as shallow, kitschy, messy, unstructured, and/or empty-headed. But all three are smart, carefully constructed, insightful commentaries on incredibly pivotal moments in our cultural history. People seem to assume that if a show is fun, it can't also be substantial, but New Line disproves that over and over, with Jerry Springer the Opera, American Idiot, Bat Boy, Cry-Baby, Heathers, and so many other shows -- most recently and perhaps most notably, Anything Goes. And we're about to disprove it again in March, when we open La Cage aux Folles.